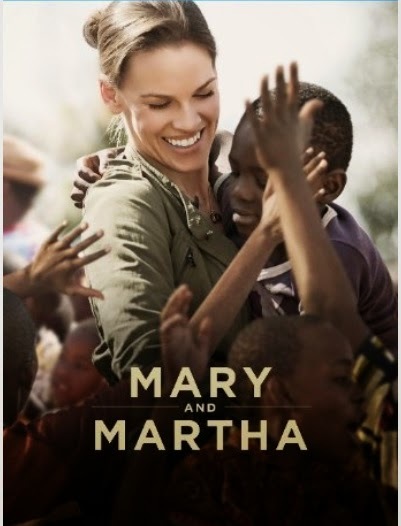 In observance of Nelson Mandela International Day, your Oklahoma City chapter of the United Nations Association is offering a screening of the much-acclaimed film, “Mary and Martha” (starring Oscar winner Hilary Swank). You’re invited to join us for a matinee presentation — Saturday, July 19th, at 3pm. This FREE movie showing is designed to be entertaining, educational and inspiring. Our first-ever Nelson Mandela Day program will be offered in the comfort of the cozy movie theatre at The Paramount, 701 W. Sheridan, in Oklahoma City. Enjoy the company of other members and friends of the United Nations Association! “Mary and Martha” is a film about two mothers connected by loss, inspired by hope. Our decision to present this film is motivated by our commitment to the values of the United Nations as well as the inspiring example of Nelson Mandela and his dedication to the service of humanity. between life and death. Donate to Nothing But Nets. Following the film, the members of our OKC chapter of UNA-USA will make a generous contribution to “Nothing But Nets” — a global grassroots campaign to raise awareness and funding to fight malaria, a leading cause of death among children in Africa. 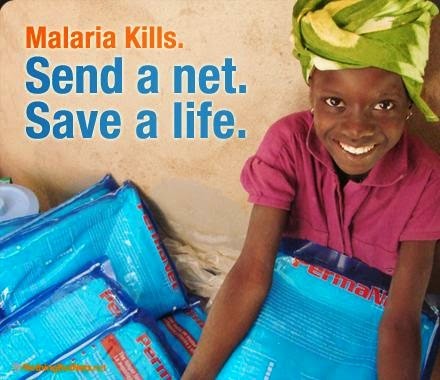 Nothing But Nets works with UN partners like UNICEF, the UN Refugee Agency, and the World Health Organization to purchase nets and distribute them to countries in sub-Saharan Africa. Net distributions are typically part of a wider public health effort within a country coordinated by the Ministry of Health, the UN and other local and international organizations. About our Venue. Located on historic Film Row in Oklahoma City, The Paramount is a great place for breakfast, lunch, or a light dinner. It is a restaurant that serves coffee, wine and beer. (See here for their menu). It also offers live music, movies and stage shows on special occasions. The small theatre at The Paramount offers a cool and comfortable screening room for people who enjoy good movies — like you and me. Join us at The Paramount. 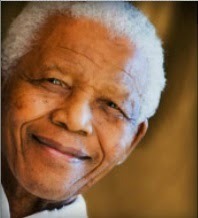 Bring your friends … Enjoy a film and save a life as we honor Nelson Mandela! to fight hunger. Joining them was Rep. Richard Morrissette (right). We are proud to announce the winner of our 2014 Public Service Award — Jacklyn Brink Rosen. Ms. Rosen is a Legislative Assistant for the Oklahoma House of Representatives. She was nominated by Rep. Richard Morrissette, who represents District 92 in Oklahoma City. Several factors were considered in the decision to select Ms. Rosen as our award winner. First, we are impressed by her professionalism and commitment to the functions of the Oklahoma House of Representatives — including the development of public policy, respect for the law, accountability, and responsiveness to constituent problems. Just as important, we want to recognize Ms. Rosen’s spirit of volunteerism — a trait that is shared by many public sector workers in our state. 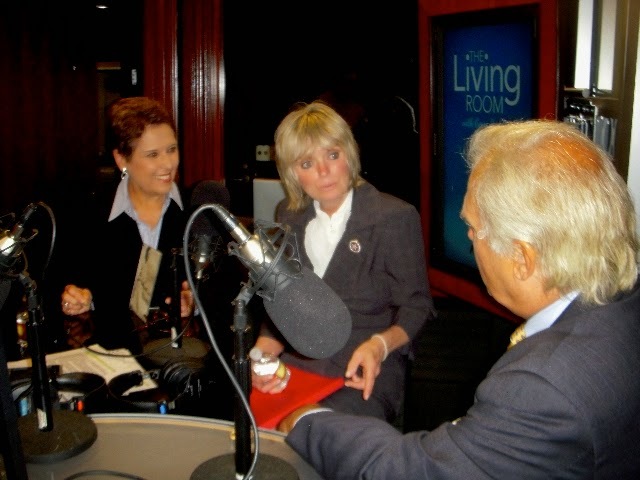 Ms. Rosen has been active in several community grassroots organizations, including the Shiloh Summer Camp, the Needs Foundation, RESULTS (a national group that creates the political will to end poverty), and the Malnutrition Coalition (a group that Jacklyn founded). Not least of all, Ms. Rosen is a volunteer leader of our Oklahoma City chapter of the United Nations Association of the USA. Food security is a centerpiece issue for Jacklyn. Her concern about issues related to hunger and poverty motivated her to join the United Nations Association. In the next few days, we will publish a more in-depth article about Ms. Rosen’s selection as this year’s recipient of our Public Service Award. The announcement of our Public Service Award winner coincides with the United Nations’ “Public Service Day” — June 23rd — an annual day intended to celebrate the value and virtue of public service to the community. see the website of the United Nations Public Administration Network: www.unpan.org. 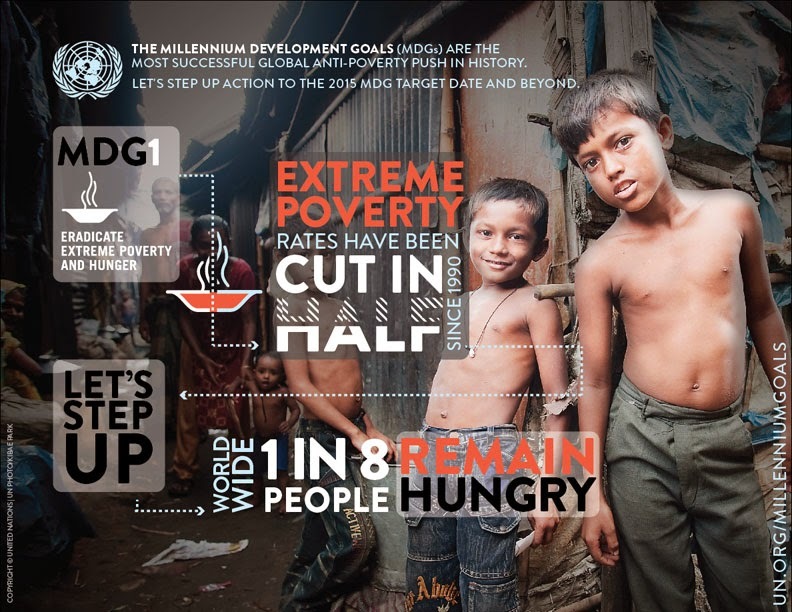 The first of the Millennium Development Goals is to eradicate extreme poverty and hunger. Globally, about 870 million people are estimated to be undernourished. More than 100 million children under age five are still undernourished and underweight. 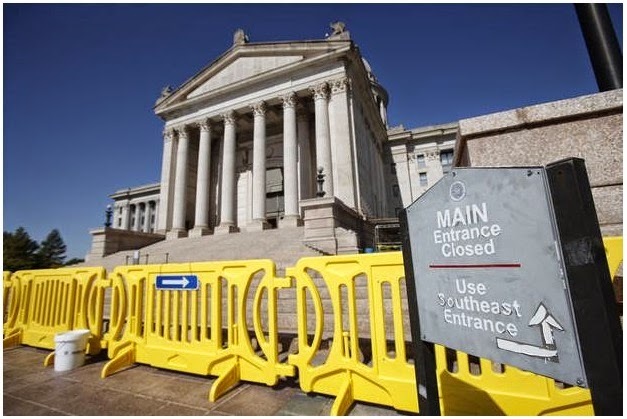 The 2014 session of the Oklahoma Legislature ended a couple of weeks ago. We’re happy to report that no crazy new anti-UN bills came forward to be debated or voted upon. Following the 2013 session — in which 4 anti-UN bills were introduced — the (almost complete) absence of nutty state legislation in 2014 was a welcome development. Actually, there was a little bit of anti-UN sentiment boiling at the State Capitol. That was evident in some of the talking points we heard during the session. Certain speakers and commentators were willing to use “UN Agenda 21” as a reference point in a couple of debates. But, the craziness was more subdued this year. For example, it didn’t manifest itself in any new efforts to suppress UN-related research or reports, etc. sign that anti-UN fervor at the State Capitol is waning. Only one new legislative measure was based on the premise of fighting the supposed menace of UN Agenda 21. House Resolution 1033 was introduced by Rep. Gus Blackwell. We wrote about it in March of this year. (See the article, “Don’t Say Sustainability“). HR 1033 died a quiet death when the Legislative session came to an end on May 23rd. It didn’t receive a hearing in committee. It was never debated or voted on. It simply went nowhere. Evidently, the leaders of the House of Representatives realized that HR 1033 was a screwy idea that didn’t deserve the slightest bit of attention. Calls from our members and friends probably helped, as well. 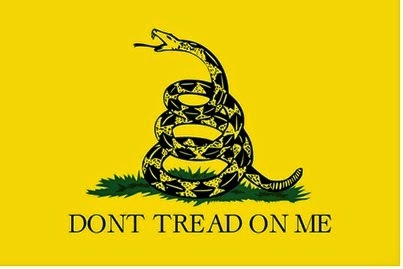 Another item — House Bill 2807 — was touted by some Tea Party supporters as a measure to “nullify” Agenda 21 in Oklahoma. But, sometimes the Tea Partiers see connections that aren’t really there. When we reviewed the bill early in the session, we saw that HB 2807 doesn’t explicitly mention the United Nations or Agenda 21. We concluded that the bill was really about land-use (zoning) laws and laws regarding eminent domain. We recognized that these topics are beyond the scope of interest of our association. So, we didn’t take a position on the bill, and we didn’t ask our members to take any action on it, either. (A good summary of House Bill 2807 appears on the NewsOK.com website. Ultimately, the bill drew opposition from certain mayors and municipal government officials. At the end of the session, the measure had gained approval in the State House of Representatives, but it didn’t come up for a floor vote in the State Senate). All session long, there was a popular uprising against the Common Core educational standards of the National Governor’s Association. The Common Core drama came to a climax last week when Gov. 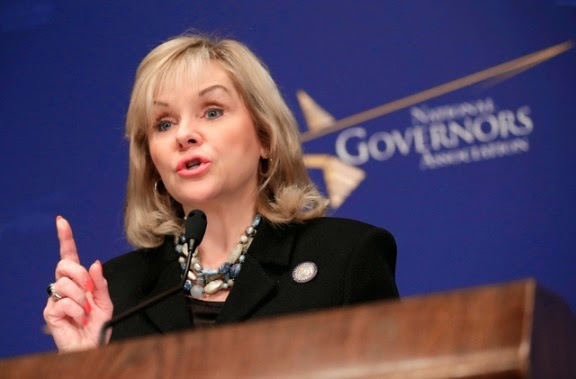 Mary Fallin signed a bill (House Bill 3399) repealing the Common Core standards in the state. This was another subject where a few fervid Common Core opponents attempted to define their opposition to the standards in terms of their favorite rhetorical straw man — that is, UN Agenda 21. We kept a close eye on this issue, but — as with HB 2807 — we recognized that the debate over Common Core wasn’t really an issue for our chapter. We didn’t take a stand; we didn’t enter the fray. In the debate over HB 3399, our friend Rep. Emily Virgin noted that Common Core had become a “toxic issue” in the Legislature. She observed that it was difficult to have a calm, rational discussion about the issue because of the outlandish rhetoric. As if to illustrate her point, Rep. Gus (“Don’t Say Sustainability”) Blackwell characterized the Common Core standards as an “insidious” example of “federal tyranny.” Rep. Dan Fisher complained that Oklahoma schools had become “enslaved” by dependency to the federal government. 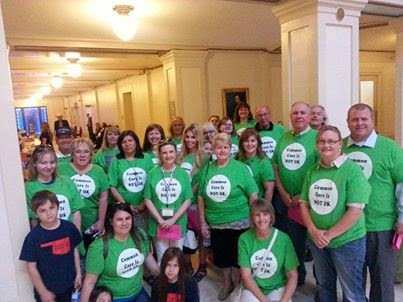 repealing the Common Core standards in Oklahoma. That’s it. As a focal point of action at the State Capitol, the UN has waned from a centerpiece of legislation to a mere talking point in a broader controversy. This is a welcome development. It reflects an understanding by most members of the Legislature that goofy attacks on the United Nations don’t really impress the voters. In an election year, it’s not smart to antagonize the quiet majority. Our State Senators and State Reps need all the friends they can get. So, we’re reminding all of our elected representatives that 86 percent of American voters think it is important “for the United States to maintain an active role within the United Nations.” The United Nations Association of the USA speaks for that majority. We are dedicated to educating, inspiring and mobilizing Americans to support the principles and vital work of the United Nations.